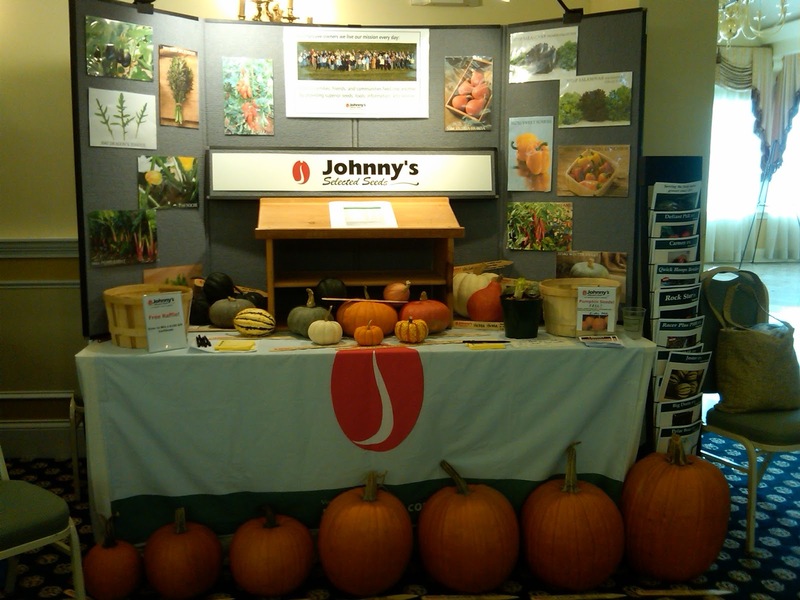 Johnny's Maine-based Territory Sales Rep, Chris Hillier, recently attended UNH's North Country Fruit & Vegetable Seminar & Trade Show, held in Whitefield, New Hampshire, on October 30th, and MOFGA's Farmer-to-Farmer Conference in Northport, Maine, from November 9th to 11th. 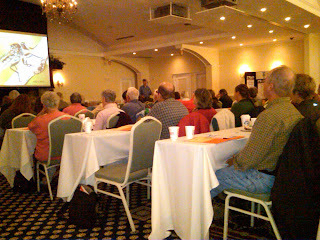 The North Country Fruit & Vegetable Seminar was held at the Mountain View Grand on the day Hurricane Sandy began to roll into New England. Due to the storm, unfortunately, some of the promotional materials we'd sent via UPS to the conference never made it there! 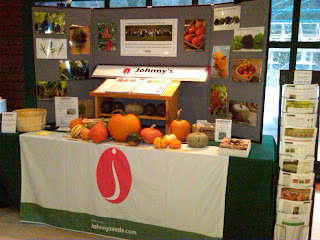 Nevertheless, Chris Hillier was able to set up Johnny's booth with a selection of crops on display, as well as various useful informational handouts. 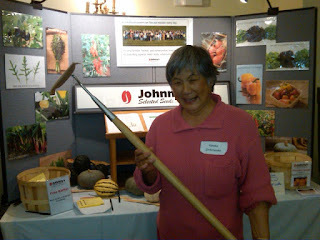 Below are photos of our booth and some other shots from Chris of the conference. 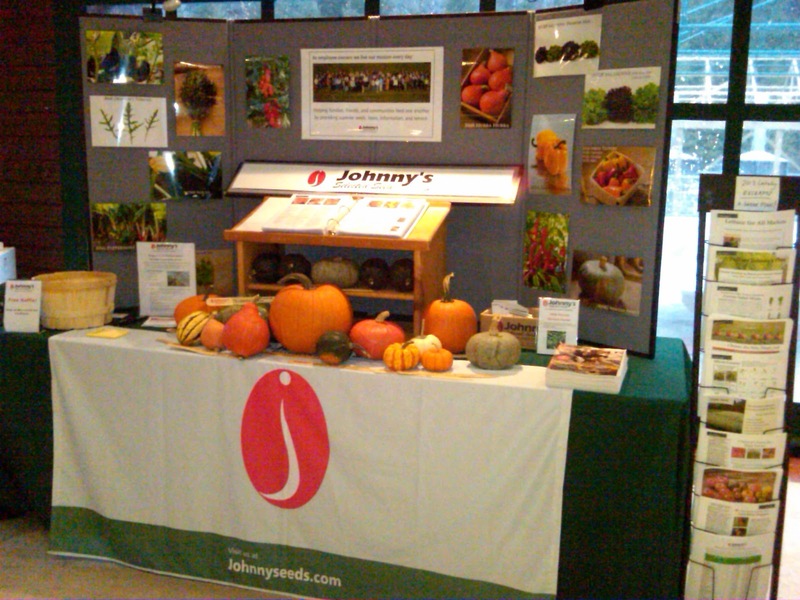 A look at our booth – set up and ready to go! 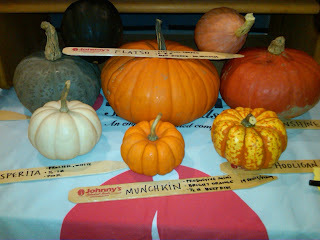 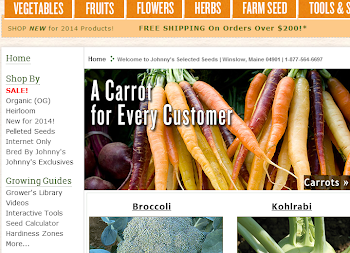 Katsko Zintchenko, a home gardener from NH, won Johnny's door prize! 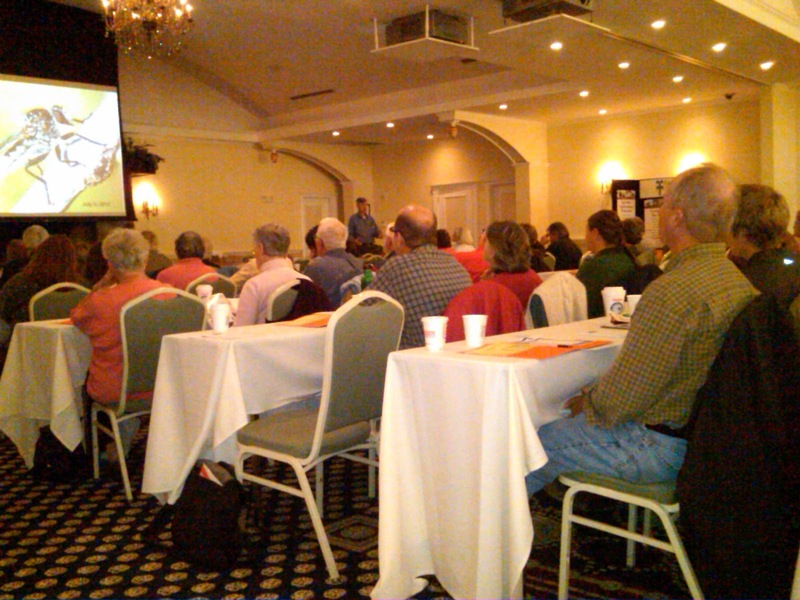 Workshops at the conference covered such topics as using cover crops to manage weeds, how to distinguish beneficial from harmful insects on your crops, and a discussion on growing crops in high tunnels. 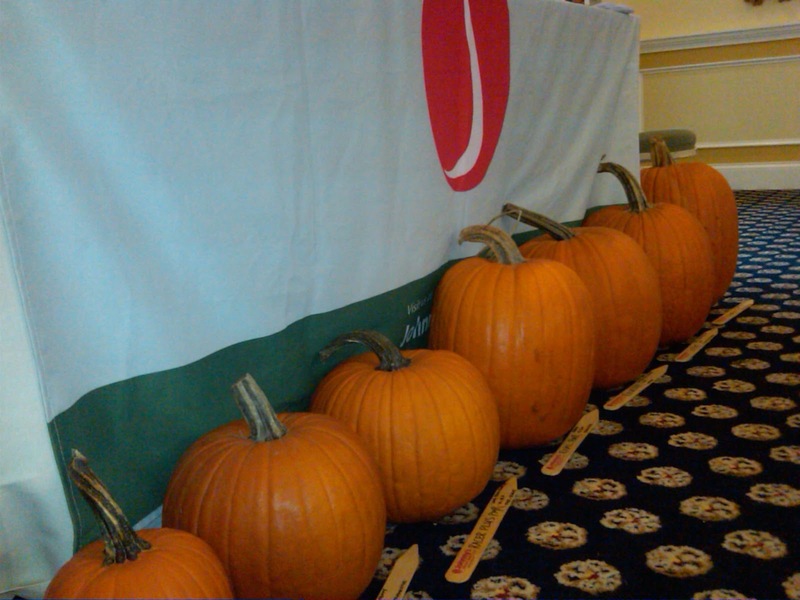 The following week, Chris headed to MOFGA's Farmer-to-Farmer Conference in Northport, Maine, November 9th-11th. Along with Chris, a member of our Contact Center, Dave, a Canadian Sales Team member, Randy, and Steve and Kelly from the Johnny's Research Farm also attended the conference from Johnny's. Chris was able to bring a preview of Johnny's 2013 catalog to this event, which allowed customers at the show to see what we would be offering as of November 15th. 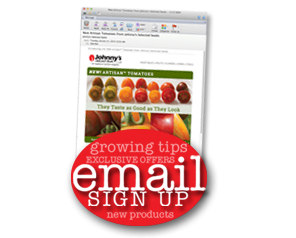 Attendees also got to check out the brand new product images that were displayed on the backdrop of her tradeshow booth, and grab handouts on new items, as well as new growing tips and charts that will be debuting in the new catalog and at JohnnySeeds.com on November 15th.